In "Simply Jesus," New Testament scholar N.T. 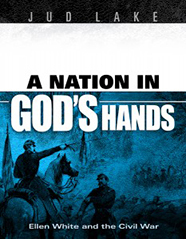 Wright uses the analogy of a perfect storm to explore and explain the unfailing mission of Jesus to restore humanity as the kingly and prophetic Son of God, while confronting the powerful political, religious, and cultural conflicts of his day. I highly recommend "Frientimacy" by my friend Shasta Nelson. Most people have been hearing of the loneliness epidemic that plagues the majority of adults. Her book offers practical ways to combat loneliness by increasing our intimacy with friends. I often refer to her analogy of friendship being the gymnasium of the soul. 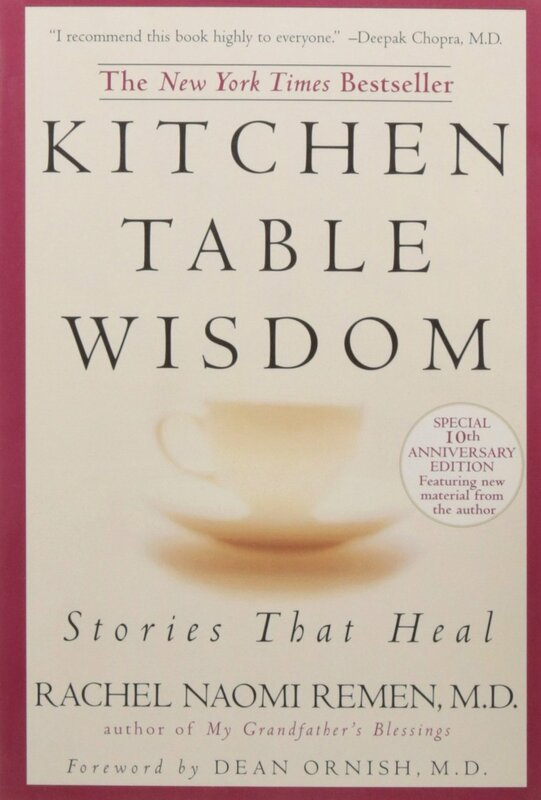 "Kitchen Table Wisdom" by Rachel Naomi Remen. Both this and her companion book, "My Grandfather’s Blessings," are deeply compassionate collections of stories based on her own life as a physician and one who suffers from chronic illness. With her own distinctive voice, she explores the transformative power of listening, storytelling, and love. "The Explosive Child" by Ross Greene, Ph.D., gave me a different understanding of why some kids act out, and offers helpful suggestions for guiding those children to more acceptable ways of behaving. Recommended! 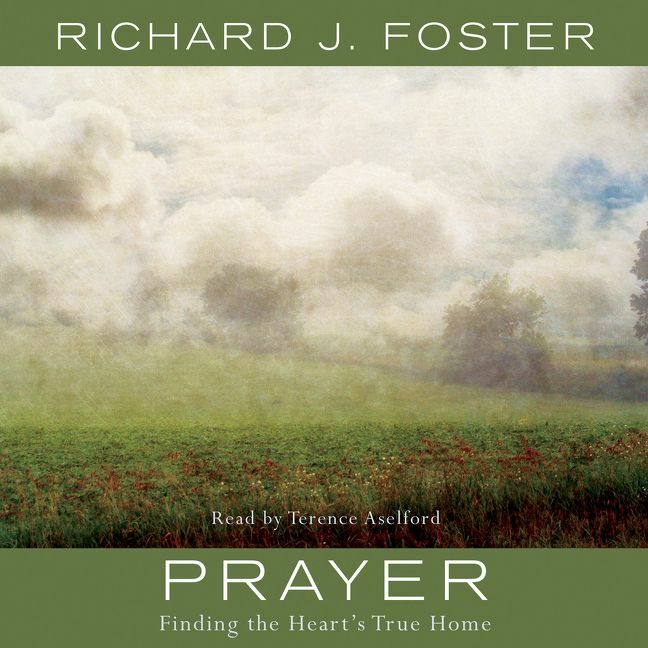 I recommend Richard Foster's spiritual classic, "Prayer." I found the ideas of all the ways we can be in prayer throughout the day to be very validating as well as helpful. Although not a religious book, "Deep Work" by Cal Newport develops the thesis that especially in our increasingly distracted world, careful, slow, focused work (study, practice, etc.) is not only essential but also gives our lives more meaning. For me, there were many spiritual lessons and analogies. I have read Henri Nouwen's, "Spiritual Direction: Wisdom for the Long Walk of Faith" recently, and it fed my soul. I read it twice in fact, and I rarely do that with a book! It nurtures and feeds the soul of one who is longing for a closer walk with God. "Weaponized Lies" by Daniel J. Levitin is the refresher on critical thinking we all need these days when it is easy to just dismiss those who disagree with us. "Out of Poverty: What Works When Traditional Approaches Fail" by Paul Polak is a very thought provoking look at the causes of poverty from the viewpoint of the poor, and how hundreds of millions of poor people can be moved up from extreme poverty to (relative) prosperity. 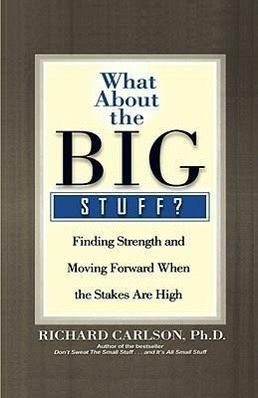 I found "What About the Big Stuff?" by Richard Carlson, to be personally inspiring. The author offers insight into ways to handle some big issues in life such as death of a loved one, divorce, confronting illness, and of course finances. Good stuff! We welcome several musicians today. Schuan Carpenter leads the praise band, and for the service music we welcome Lyn Ritz (viola) and Ron Coleman (clarinet). I think it one of the miracles of this valley that we get to hear musicians of this quality from our own congregation and even during the quiet summer months. Please join me in thanking them all. Pastor Jenn and a dedicated team of volunteers, served more than 160 kids ages 3-12 on a daily basis. Your financial, prayer, and time support of the University Church makes beautiful moments like these possible. This Sabbath, loose offering goes to the University Church budget. This fund pays for all ministry, staff (except pastors) and infrastructure support in our congregation. To donate to the University Church budget, mark your tithe envelope as such or give Online here. The Sanctuary roof will be replaced over the remainder of July and much of August. During this time, two construction companies will be working in, on, and around the church facility. Please be aware that coned-off zones on the outside of the building indicate areas of danger. In particular, they may indicate an overhead hazard that is not otherwise obvious. Please keep clear of these areas (especially children) and remain mindful of the ongoing construction during this time. Jaimie's plans creates an employment opportunity. The University church is looking to fill the position of full-time office manager. If you are interested, please send your resume to church@wallawalla.edu by July 23, 2018. Click the image to the right (or here) for a job description. Ordell Johnson passed away on May 14. 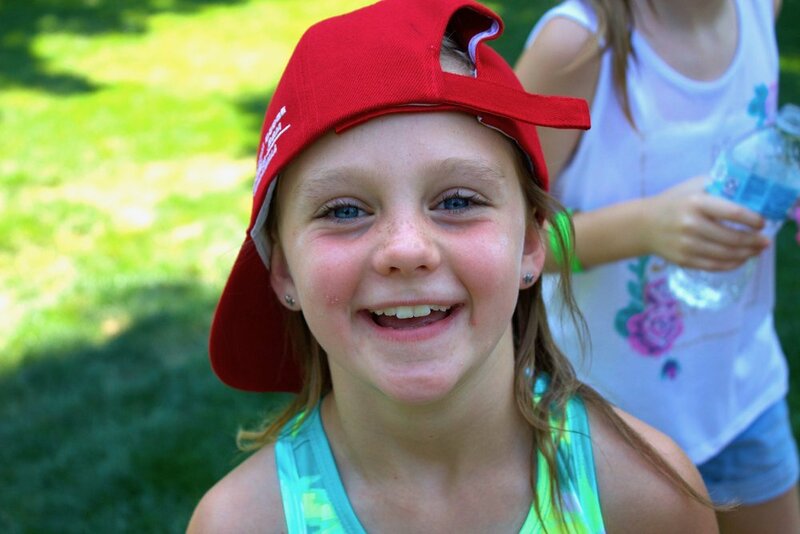 There will be a memorial service on July 29 at 11am in the Village Church Chapel. Thank you for remembering his family in your prayers. The family of Freda Doris Gilliland, wife of W. Melvin Gilliland, past WWU librarian, sadly announce her passing on July 2, 2018 at the age of 92. She peacefully died after telling each of her children, spouses, grandchildren and great-grandchildren either in person or on the phone that she loved them and would meet them in heaven where we will live forever and ever! A family burial service will take place at a later date. Please make any gifts on Freda’s behalf to the Walla Walla University Library. Cards to the family can be sent c/o Duane Gilliland, 1808 SW 26th Circle, Battle Ground, WA 98604. A celebration of life ceremony will be held for former WWU professor, Dr. Richard Litke, on July 28 at 3pm in the Wenatchee SDA Church Family Life Center. He is survived by his wife, Jackie Larson, and his stepdaughters Diana Hernandez and Denise Kerr. If you would like to share memories or condolences, please visit heritagememorialchapel.com In lieu of flowers, please donate to the charity of your choice. Seventh-day Adventist beliefs survey is live. Every five years, the Adventist Church conducts a survey to discover what members believe, their experiences with the church, and how they live their daily lives. You are invited to participate. (Please note this survey takes about one hour to complete.) The survey is available both in English and Spanish. https://l.uccsda.org/SDASurvey2018 Thank you for your help! Camp MiVoden white water rafting camp has a few spots open. Space is limited. Visit mivoden.com and register today. You can also email denisek@uccsda.org or call 509-242-0506. The Village Church is looking for 4 people - two for the Friday night shift (8-11, 08-31) and two for Sabbath morning (11-2, 09-01). This year the fair falls on the same weekend as the Village Church's 50th anniversary, and special events are planned for Friday night and Sabbath. If anyone wants to help in this community outreach, please contact Dalaina Grigsby, dgrigsby@charter.net or text 509-301-1554.